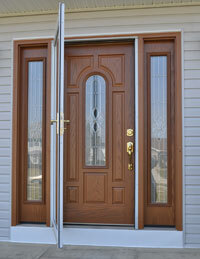 Why Should Homeowners Choose Fiberglass Doors over Traditional Wood? Front door materials and design have come a long way over the centuries. Handmade and hand carved entry doors were works of art during the Middle Ages, and wood has always been one of the go-to materials. Although wood doors can certainly be beautiful, they have several downfalls that make them one of the high maintenance entry door options on the market. Luckily, there are alternatives to wood doors available to homeowners in Charlotte—and one of those options is fiberglass. When you choose fiberglass doors over traditional wood, you’re opting for one of the most durable and energy efficient options on the market. But why would homeowners opt for fiberglass over one of the most traditional front door materials in history? The top economic concern of homeowners today is saving money on utility bills. It’s no secret that your energy bills can take a bite out of your budget, with homeowners losing $35 billion per year due to inefficient windows. Imagine the loss if your windows, roof, and front door were all losing energy at the same time. When you need to take your home’s energy efficiency up a notch, fiberglass doors are a smart choice. A quality fiberglass door is 5 times more insulating than a traditional wood door. That means that a fiberglass entry door will help your home stay more comfortable throughout the seasons, and you won’t have to constantly battle with your HVAC system. Perhaps one of the best benefits of fiberglass doors over traditional wood is ease of maintenance. Wood doors require a lot of work throughout the years. They’re prone to rot in humid climates such as Charlotte, and repairing or even replacing a wood front door can be costly. However, fiberglass entry doors are engineered to withstand humid climates. Furthermore, you won’t have to worry about sanding and staining due to fading, dings, or scratches. These doors can withstand a variety of elements and high traffic areas without losing its aesthetic appeal. If you’re dead set on a wood front door, the good news is that fiberglass can look nearly identical. Wood grain fiberglass front doors are a popular aesthetic option not just in Charlotte, but throughout the country. You’ll be able to enjoy your fiberglass door for decades, and you’ll never have to pick up a paintbrush. 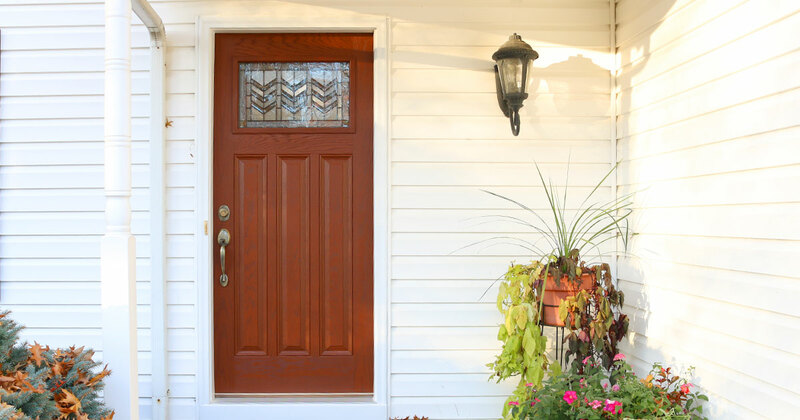 Become the proud owner of a beautiful, efficient, and durable fiberglass front door. Contact us today to learn more by calling 704-594-1900.